For over twenty-five years, Linda has represented employers in employment matters. A certified specialist in labor and employment law, Linda has focused on day-to-day employment matters including wrongful discharge issues, the Fair Labor Standards Act, the Family and Medical Leave Act, and review of employee handbooks. Her clients include many health care institutions, cities, and counties, as well as private-sector employers. Linda has reviewed countless handbooks and employment policies. She has responded to hundreds of discrimination charges on behalf of employers before the Equal Employment Opportunity Commission and the South Carolina Human Affairs Commission. And she has litigated dozens of cases covering almost all aspects of employment law in federal and state courts at both the trial and appellate levels, including precedent-setting court decisions involving overtime law. This broad range of experience allows Linda to assist employers to discover practical solutions to their legal problems. 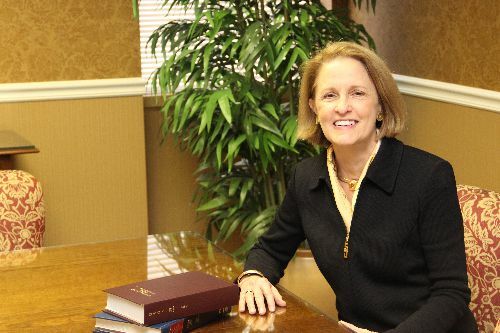 Prior to attending law school at the University of South Carolina, Linda earned an undergraduate degree in business administration, as well as a master’s in business administration from U.S.C. She worked for five years in the area of human resources, which gives her a personal perspective on the issues human resources staff face. Linda is a regular presenter on employment law matters, making some 20 presentations per year to supervisors and human resource personnel on topics such as the legal issues of supervision, preventing harassment and avoiding harassment lawsuits, complying with the Fair Labor Standards Act, and other personnel-related topics. Since 1997, she has been a member of the Fourth Circuit Judicial Conference. Linda was born in Charleston, South Carolina, and enjoys cooking, hiking, and fly-fishing.